Join us for an amazing learning experience in Berlin!!! Workshops will be taught in English. 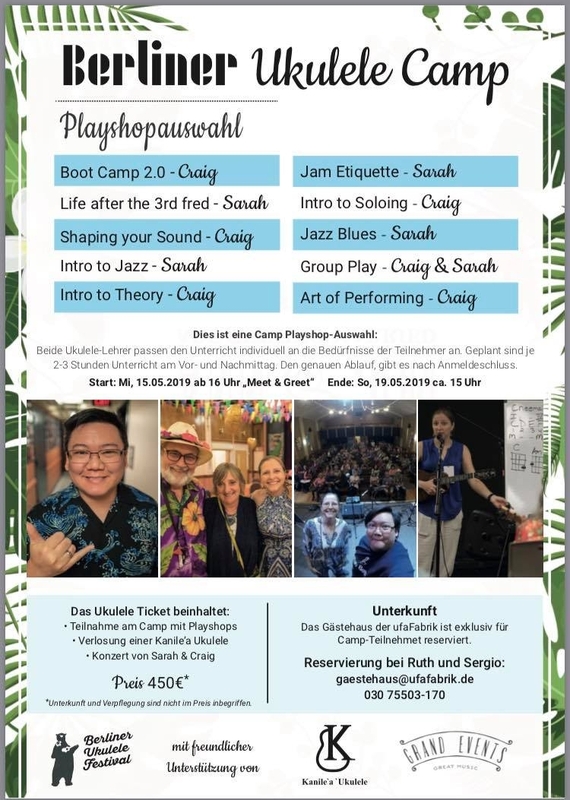 This will be a 4 day ‘ukulele intensive that will inspire you to become and even better musician. We look forward to getting to know everyone, and helping you reach your ‘ukulele goals! This is going to be a truly awesome event that you will not want to miss.